A few months ago, I wore this Marchesa dress to my little sister's wedding! It was one of my favorite dresses that I've ever worn. Do you have a wedding to attend and can't decide what to wear? Below are a few tips to help you find YOUR perfect dress! Finding the perfect dress to wear requires a lot of patience. The last thing you want to do is to buy at the very last minute. You want a dress that you will love and feel confident in! When shopping online, read customer reviews and determine if the dress is true to size. Make sure you have plenty of time for shipping. Look for websites that offers free returns in case it does not work out. Tip #2: Consider the location and type of venue. Always check the invitation to see if there are any specific dress codes. Beach weddings: Casual. Try a knee-length, day dress and don't forget to wear open toe sandals! Reception halls: Semi-formal to formal wear. Barn/outdoor weddings: Casual to semi-formal wear. Tip #3: Choose the right style for your body shape! Petite frame: Try a slim-fitted, knee-length or A-line dress. These type of styles will help elongate your figure. Avoid baggy, boxy dresses that will give you a frumpy look. 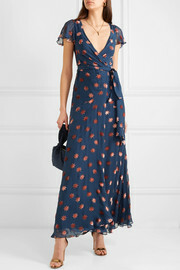 Tall frame: Go for a flowy, maxi dress! It can create a very feminine, goddess silhouette. Bigger bust size: Choose from a body-hugging wrap dress or one with a low-cut/V-neck line. Smaller bust size: Women with smaller chest sizes can work with a variety of styles. 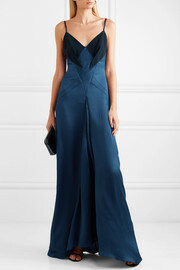 There are options such as a high neck line, a plunging low-cut, backless, or off-the-shoulder. Broad shoulders: Try a dress with one shoulder or long sleeves! It is best to avoid halter dresses that can accentuate the shoulders even more. Happy shopping and be sure to follow me on my INSTAGRAM for more updates!